The largest individual donation in the history of the hospital, given by Dal Casa Developments, will completely rebuild very neglected Department for physical therapy. Complete article can be found at the site of Slobodna Dalmacija. Croatian Times also reports about the event. Organized by Rotary Club Split PLUS, the final evening of humanitarian "TOUCH OF GOODNESS" project, which was realized this year with the support of PRESIDENT OF CROATIA Mr. STJEPAN MESIĆ and the Ministry of Health and Welfare. 1. INA OIL INDUSTRY d.d. More about the event on the site of Rotary Club Split Plus and Slobodna Dalmacija. DalCasa Developments is ending of preparations for the start of construction of a large business building, investment which will "weight" about 6 million Euros. After we obtain building permits, work should begin in late summer and expected completion time is in the fall of next year. Complete article on the pages of Slobodna Dalmacija. DalCasa company has bought 37,000 square on the Rudine in Kastela where intends to build 48 luxury family with a swimming pool. (note: land surface has been increased until today's date, so that the number of villas will be higher). "Project Paradise gardens is in preliminary solution, and waiting for the urbanization plan of Rudina, which should be passed by the end of the year. Start of construction is scheduled for the first half of 2009." as Lovorka Buterin, the project manager of DalCase has explained. More on the pages of Poslovni Dnevnik. Ceremony includes opera concert and auction of Ancic's racket and Mihanovic's graphics. Each newborn baby in Split will get a 400 Kuna from the revenue. DalCasa Developments has sponsored the concert. More about the event on the pages Slobodne Dalmacije. 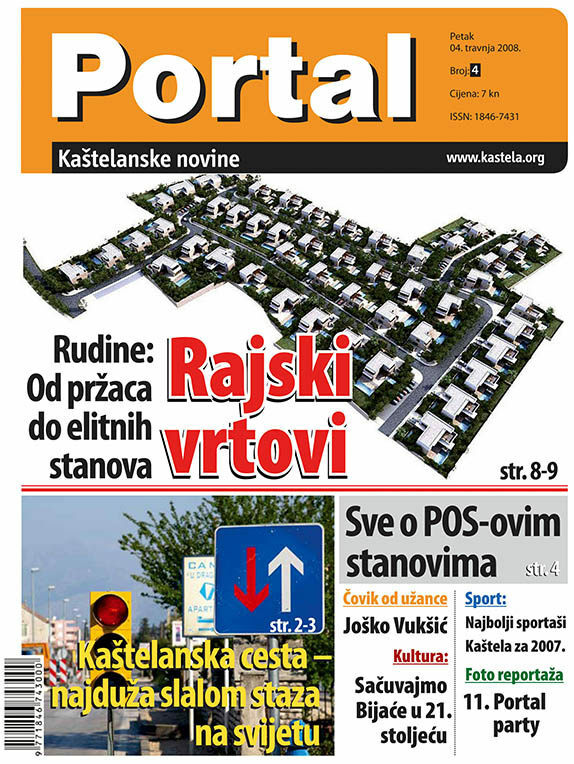 "Slobodna Dalmacija" and Kastela's newspapers "Portal" about DC project "Paradise Gardens"
In the untuched part of Kastela DalCasa is planning luxury comunity of villa that are aimed at families that are looking for peace and a break from the urban every-day life. Read more about it in Slobodna Dalmacija. 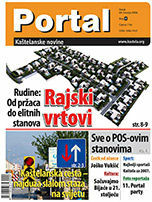 Numerous media in Croatia have reported about first professionally organized property show in Croatia. DalCasa Developments investments are taking most attention. Here is one of the articles from "Slobodna Dalmacija". 10th international boat show was took place from 5th to 13th April in Split, showing that it is the largest boat show in the region. 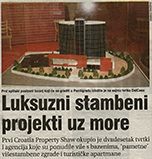 At the same time Croatia Property show was held at the same location under general sponsorship of Dal Casa Developments. More about the show in articles of Jutarnji List and Poslovni Dnevnik. Copyright (c) 2019. DALCASA DEVELOPMENTS. All rights reserved.